Just when the off-season blues are starting to kick in it is always a pleasant surprise to a see a unique event pop up on the calendar. 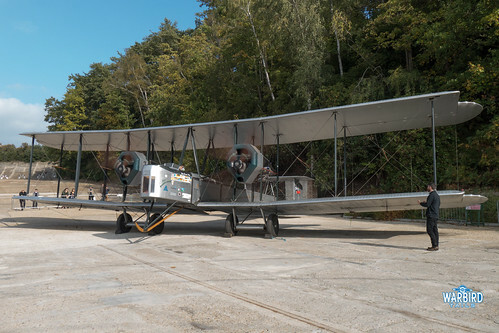 Brooklands Museum is a hugely historical site, having one of the proving grounds of early British aviation alongside boasting the first purpose built motor racing circuit. The 30s and war years saw iconic names such as Hawker and Vickers move into Brooklands and the first flight of the iconic Hurricane took place there in November 1935. 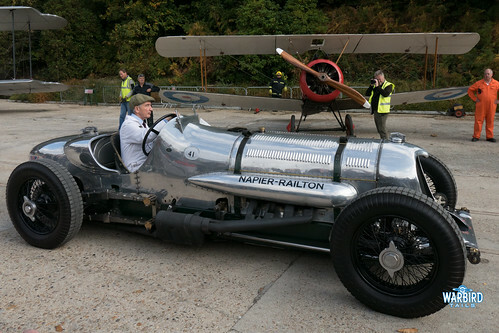 It is probably fair to say that the average visitor would know Brooklands more for its car racing heritage than aviation. I have long been of the opinion that the aviation collection on sight is one of this country’s hidden gems. It was most certainly welcome news to hear that as the result of significant funding being awarded the museum was putting into place ambitious redevelopment plans, plans that are now coming together. The most noticeable change since my last visit in 2015 was the relocation of the Wellington Hangar. This wartime hangar had been originally constructed over what used to be the finishing straight on the racing circuit. 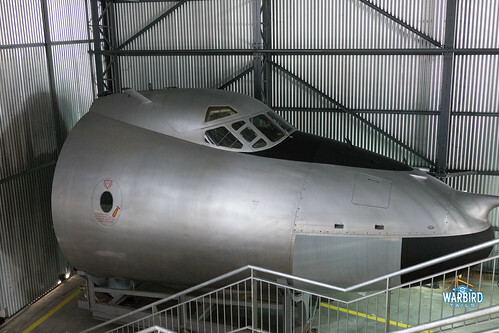 While this was the hangars original location it left an important part of the museum’s heritage covered and made conditions cramped for the based cars and aircraft, many of which are in running condition. 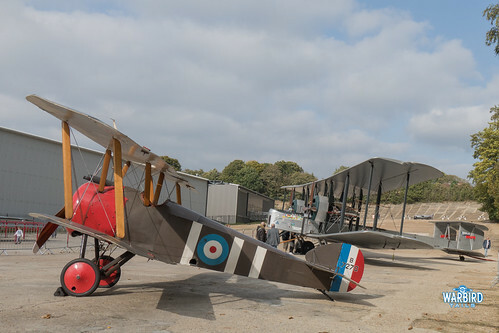 This years Aviation Day was designed to provide visitors with a sneak preview of the new aviation exhibitions ahead of the formal opening later in the year. 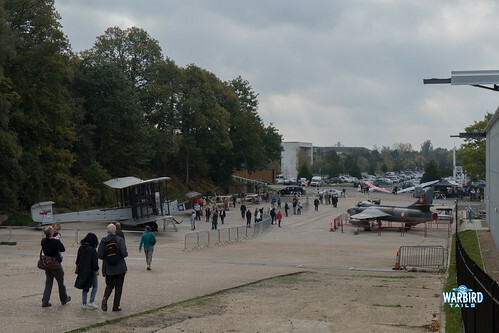 The new exhibition consists of two spaces, the “Flight Shed” built nearer the banked circuit, which is set to contain many of the aircraft in running condition for ease of access to the straight, while the “Aircraft Factory” is the relocated Wellington Hangar, with its namesake taking pride of place. As you can see from the photographs both spaces look set to be fantastic exhibitions and provide great access to the aircraft. The idea of making use of some of the partial airframes, such as the Valiant nose and Swift fuselage give a great impression of an aircraft factory at work. 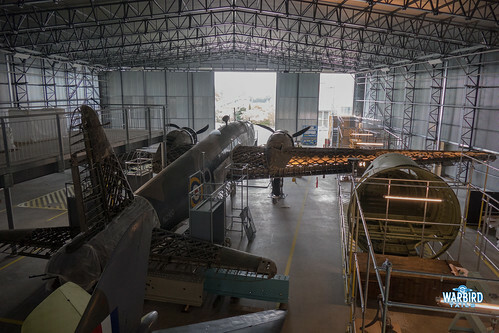 The Mezzanine floor, which these photographs were taken from offer the unique chance to look down on one of only two surviving Vickers Wellingtons. The preview tours were just one part of the day however, with the main event being the aircraft engine runs. To my knowledge this event featured more aircraft than any of the past events. 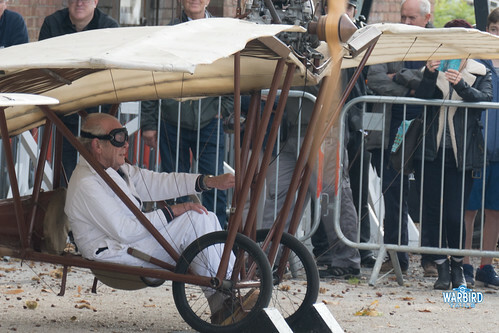 Early runs were carried out by the Demoiselle, Sports White and Baby White Monoplanes. 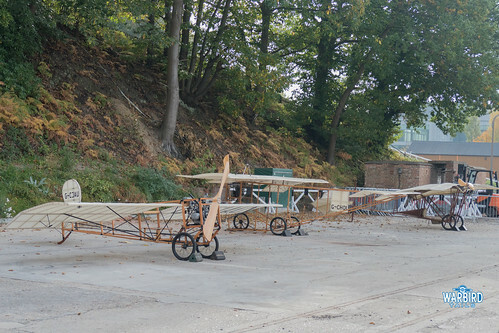 All three replicas were constructed by Julian Aubert and looked fantastic running on the newly cleared area. 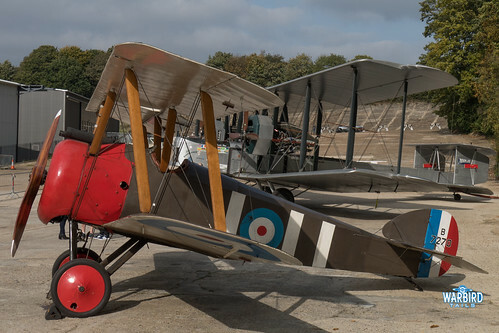 I hadn’t previously been familiar with the White monoplanes but now understand the intention is to fly them each at least once before they return for permanent display as part of the museum to take part in these days. Footage from a “high speed” taxi run completed at Dunsfold in one of White designs can be found here. 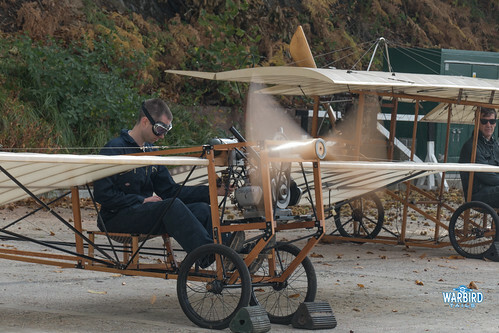 With the Edwardian designs having completed their runs for the crowd with the classic putter of the two stroke engines, it was time for an altogether louder and more powerful demonstration. 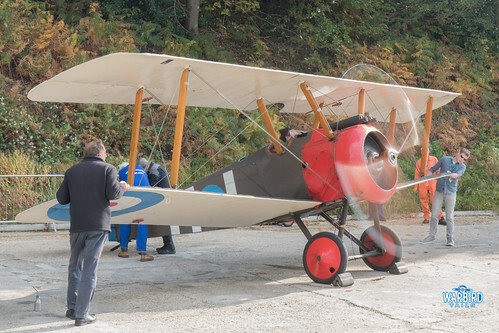 The assembled crowd watched as the Museum’s Sopwith Camel replica’s rotary engine was carefully primed before bursting into life on the first swing. It doesn’t seem to matter how many times you experience a rotary running at close quarters, it is always an assault on the senses with the sheer noise power and smell of the castor oil immersing you in the history. The Camel looked particularly good during its run with the sun shining perfectly on the propeller resulting in some shots I am rather proud of. 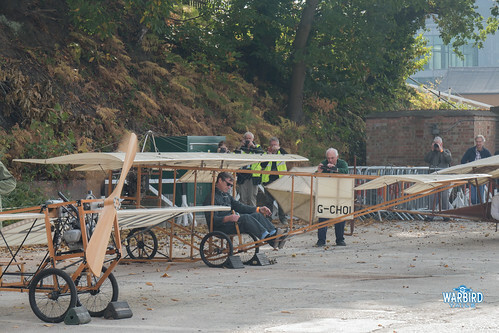 The undoubted highlight of the engine runs was the Vickers Vimy replica. To my knowledge, this is the first time the aircraft has carried out a public engine run since performing its first flight into Brooklands in 2009. 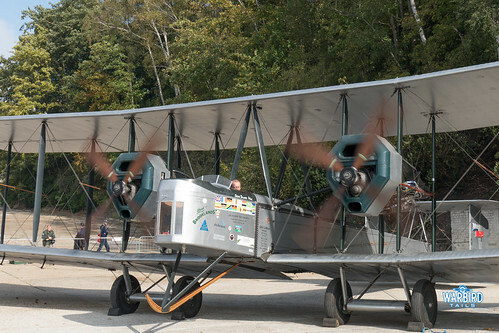 This particular airframe is historic in its own right having been constructed in the 1990s in order to reenact the record-breaking long-haul flights that a number of original Vimys completed. 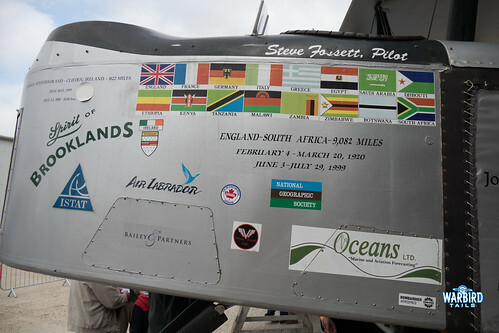 The aircraft flew to Australia in 1994, South Africa in 1998 and finally reconstructed Alcock and Brown’s first Transatlantic crossing in 2005. 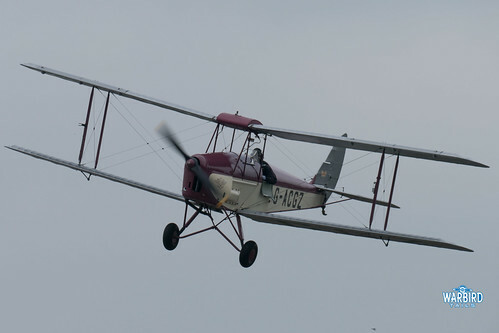 Following the final record flight the airframe joined the airshow circuit for a short while before being retired to Brooklands. Having watched all of the other aircraft spring into life on the first turn of the prop it was quite ironic to watch the Vimy seemingly refuse to start despite having modern power plants. This certainly built up the suspense but the reward once both engines were running was fantastic. I never managed to see the Vimy while it was on the display circuit so it was fantastic to see this WW1 bomber running in front of me. In the end the Vimy performed a 10 minute engine run at various power settings giving a great impression of the power of this aeroplane. Both before and after the engine runs the public were encouraged to go up to the aircraft for closer inspection which was a nice touch. This allowed visitors to get the full impression of just how big the Vimy is. It seemed a lot larger standing on its own out of the crowded hangar it used to reside in. Just the above line up would have made for a memorable event but the icing on the cake was the arrival of seven of the Tiger 9 team flying in and landing on the grass runway at Mercedes-Benz world, just across the river from the main museum site. This allowed the public great close access as the aircraft arrived. 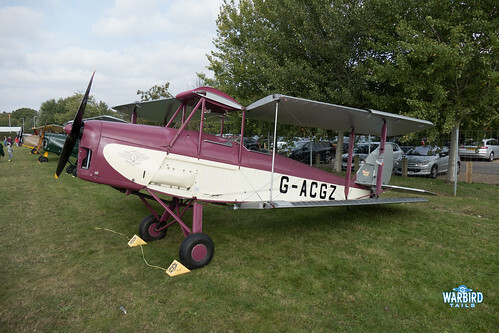 Amongst the Tiger Moths arriving was the recently completed Moth Major. It was nice to get a close look at this new restoration after seeing it make a display debut at Duxford earlier in the year. 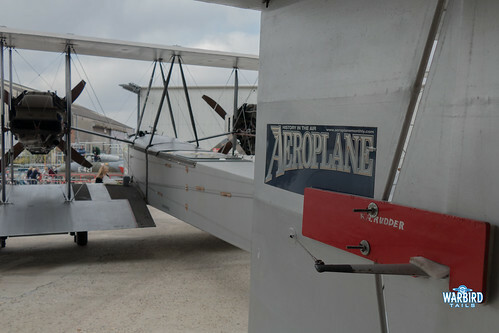 After the first round of engine runs the airfield was opened up for close access to a get a close look at the Moths. The day was full of highlights and I’ve only really scratched the surface with this review, the display halls holding the historic racing cars are easily worth a day on its own not to mention the other aircraft on display such as the extensive airliner collection and the Musuem’s Concorde Experience. I look forward to seeing the fully completed exhibitions once they open later in the year and will certainly be returning once a date is set. 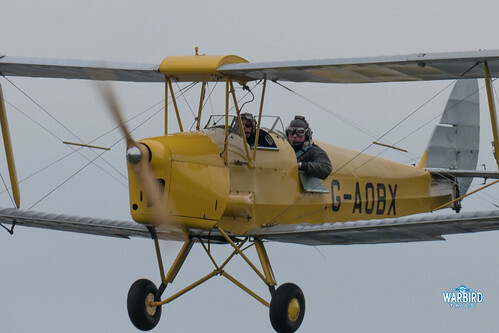 This event served as a perfect dose of aviation action at just the right time of year when everywhere else is starting to wind down. Hopefully the event proved to be a success for the museum and we can see more regular events such as this. 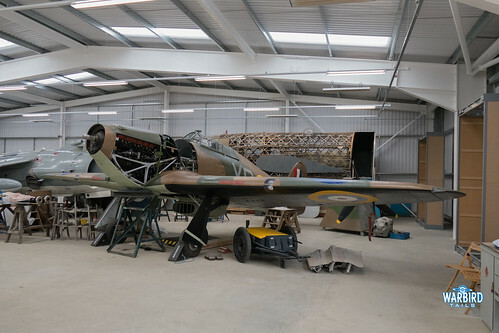 With the prospect of the Museum’s Hurricane hopefully joining the line-up at some point in the future these events will surely get better and better.